The unexpected loss of her husband just before the holidays left Joanne feeling anything but festive. Already overwhelmed with grief, she also has to learn how to be a single working parent. As much as she wants to ignore Christmas and all of its many memories that are now painful, she knows she must be strong for her three children, but just getting through the day without crying is a challenge. One day a poinsettia shows up on their doorstep with a note attached. Each day thereafter a small gift arrives with a note referencing the lyrics from The Twelve Days of Christmas. At first the gifts are met with Scrooge-like grumpiness, then curiosity as to who the giver could be. The family soon finds themselves anticipating the gifts, and as each gift arrives, Joanne and her children find ways to come together through their grief. 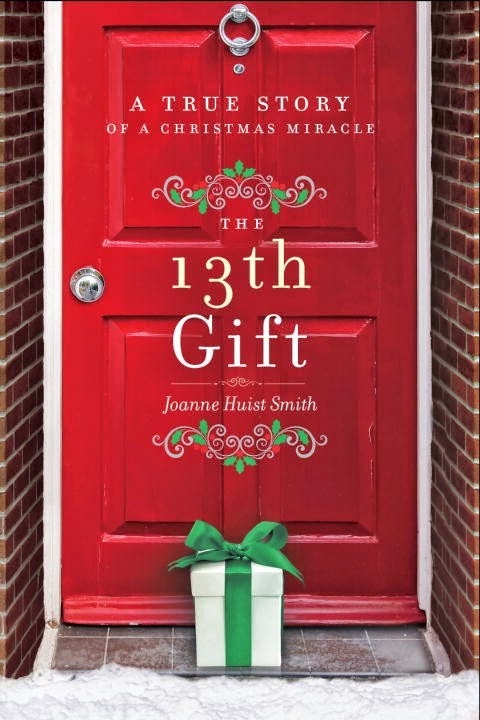 The 13th Gift by Joanne Huise Smith is the heartwarming true story of a family learning to heal after the death of a loved one. It's also about the importance of everyday miracles - small acts of kindness that have a big impact for both the giver and the recipient. This story is an excellent reminder that gifts from the heart are the best gifts of all and can be given at any time of the year. We just lost my father so this might be a good book for my mom. Bonnie, this sounds like a sweet story!